Time Warp Mode engaged! Sunday, September 7, 2014. 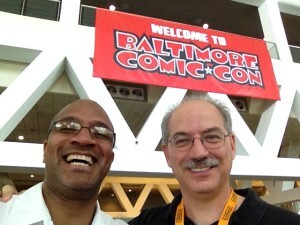 We’ve just returned from a fantastic weekend at the Inner Harbor in beautiful, downtown Baltimore! 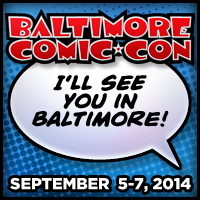 The annual Baltimore Comic-Con is one of the highlights of our convention calendar. This show is unique in that it continues to be comic-centric in an age of multi-media cons. Founder, Marc Nathan, remains dedicated to holding a convention that puts comic books front and center. The convention keeps getting better and better expanding to three full days this year. The list of comics professional in attendance is far to lengthy to name. 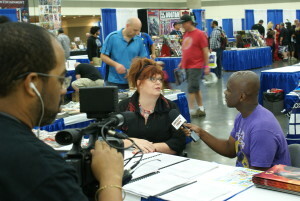 But among the interviews we got were Gail Simone, Greg Capullo, Cliff Chiang, Kevin Maguire and Vivek Tiwary! 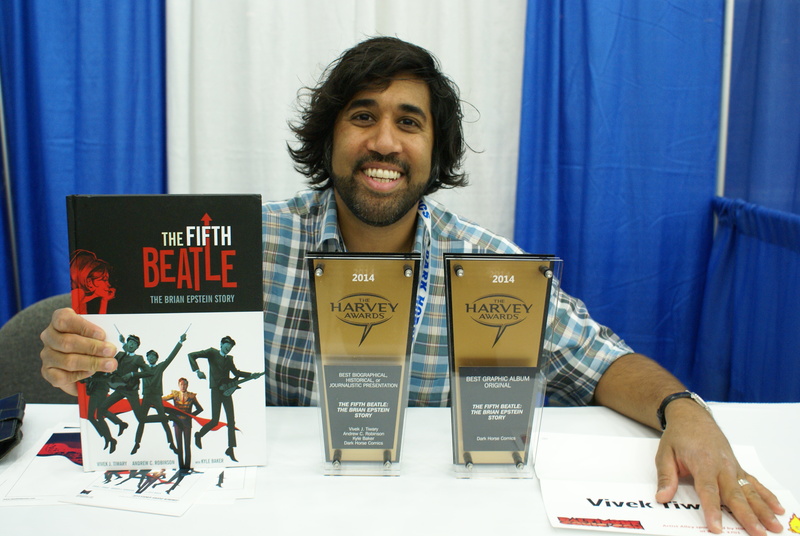 The Baltimore Comic-Con is also the home of The Harvey Awards. 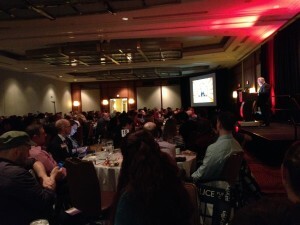 One of the premier awards honoring excellence in the comic book industry the dinner is one of the highlights of the show. 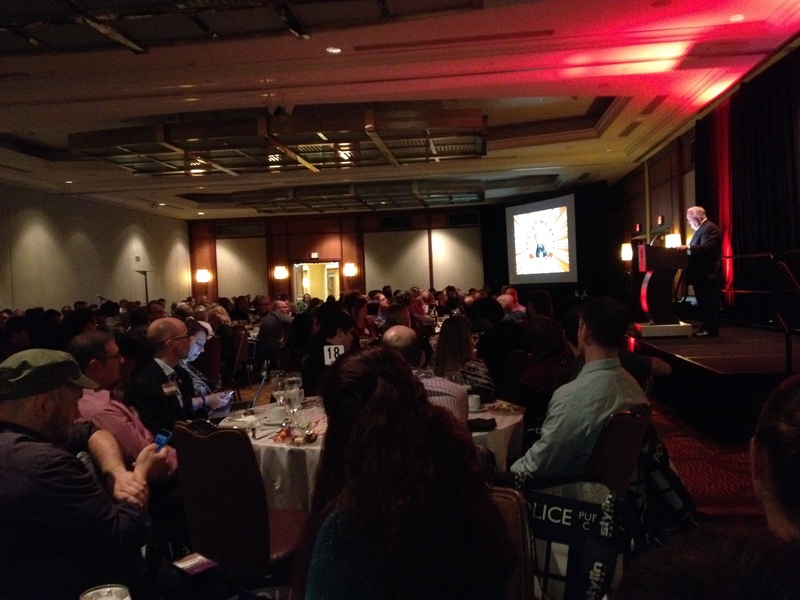 While Fantastic Forum wasn’t a sponsor as we were last year we did attend the awards dinner. It was a lot of fun rubbing elbows with so many industry luminaries. 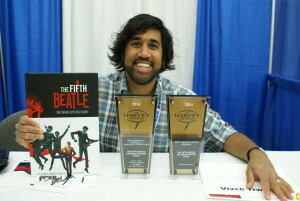 The big winner of the evening was Image Comics’ Saga, which took home awards in four categories and Dark Horse Comics’ The Fifth Beatle which won two awards. And the Heroes Initiative Lifetime Achievement Award was won by our friend, Herb Trimpe! 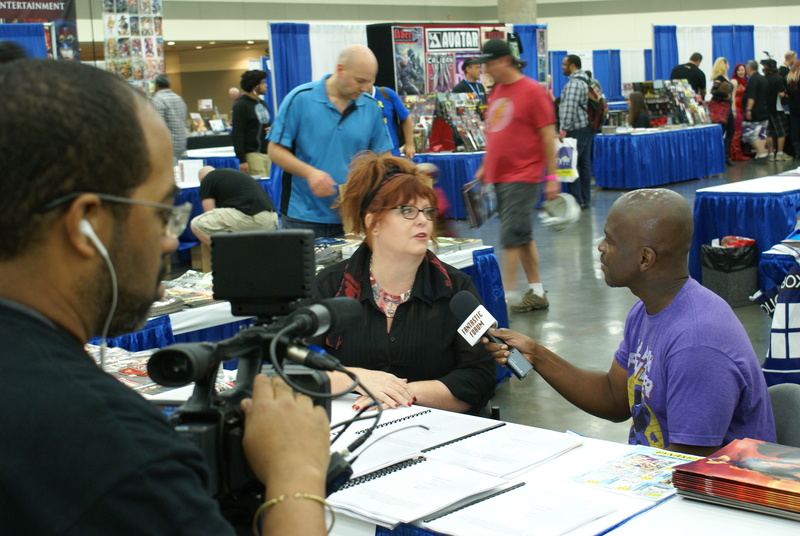 Baltimore is one of our favorite conventions and holds a special place as it was the first convention where Fantastic Forum conducted interviews with industry professionals. Thanks for your dedication to comics, Marc Nathan! Great seeing everyone and always looking forward to the next year!